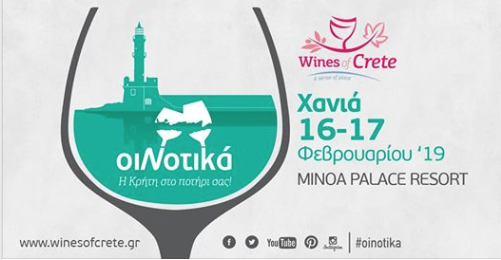 ‘Wines of Crete’ invites you to the 11th Cretan Wine Fair OiNotika, organised by the Cretan winemakers. Don’t miss the opportunity to taste some of the more than 350 different wines from 33 Cretan wineries! VENUE: Minoa Palace Hotel Resort & Spa . Click for map.